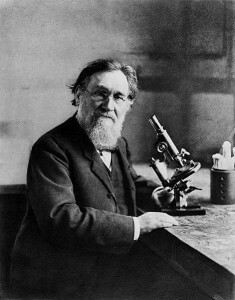 Currently events in honor of the Metchnikoff Day are being planned in Kiev, Ukraine, on behalf of the Kiev Institute of Gerontology of the Ukrainian Academy of Medical Sciences; St. Petersburg, Russia, on behalf of the Gerontological Society of the Russian Academy of Sciences and I.I. Mechnikov North-Western State Medical University; in Moscow on behalf of the National Research Center for Preventive Medicine of the Ministry of Healthcare of the Russian Federation, and further meetings in Moscow are planned by several public organizations, including the Fedorov Movement, the Russian Transhumanist Movement and the Russian Longevity Alliance; Larnaca, Cyprus, on behalf of the ELPIs Foundation and the Cyprus Neuroscience and Technology Institute; Oxford, UK, on behalf of the Oxford University Scientific Society and Biogerontology Research Foundation; in Ramat Gan, in Bar Ilan University, Israel, on behalf of the Israeli Longevity Alliance and the International Society on Aging and Disease (Israeli branch). It may be hoped that, following these examples, more events and publications, dedicated to research of aging and longevity, will be held around the world in honor of this day or close to it. Thus thanks to Metchnikoff’s continuing inspiration and authority, the interest in aging and longevity research will be increased in all the walks and segments of society. There is little time left until May 15, perhaps enough to prepare a small publication or meeting, live or online. Yet Metchnikoff’s authority may help us promote the study of aging and longevity also in the next year – July 15, 2016 is the 100th anniversary of Metchnikoff’s death, which can also become an impulse toward meetings and publications, with a greater time for preparation. The organization of several connected events in different countries in the same day (or period) in the framework of an international action, may produce a synergistic, mutually reinforcing effect. Yet, of course, those are not the only days that could be used for such an effect. An additional convenient day (or period) to conduct an international action in support of aging and longevity research, can be October 1, 2015 – the day officially sanctioned by the UN as the “International Day of Older Persons” (celebrated by some parts of the longevity advocacy community as the “International Longevity Day”). In 2013-2014, events around that day were conducted by various longevity activists groups, public organizations and scientific centers in tens of countries. We hope that thanks to our mutual efforts, from above and from below, thanks to the events, organized on those and other days – the need to promote research of aging and aging-related diseases to improve health and longevity of the elderly population – will be recognized by all parts of society, including the broad public, the professional and scientific community, and decision makers, and will stimulate actions corresponding to the severity and urgency of the problem.